Have you heard of Funki Fabrics? Today I’m showing you the results of trying out their Flexcite stretch fabric. I am proud to see a Northern specicalist fabric company doing so well, and the Manchester-based team design and print here in the UK! That’s rather impressive if you ask me. So what did I make? I could have chosen to make dancewear or sportswear but I decided to make myself a swimsuit. 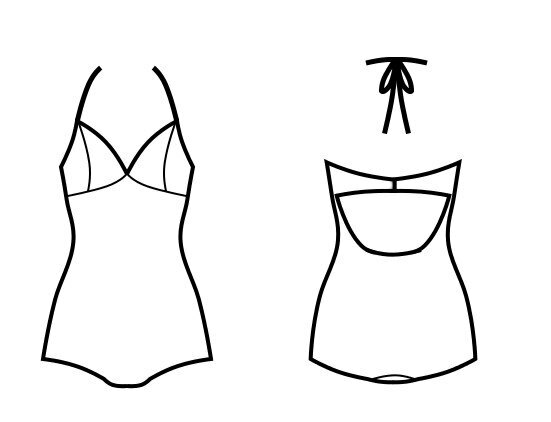 Swimsuits can be so boring and unflattering; but what if I made one that I actually enjoyed putting on! This is the Abigail Swimsuit pattern by Ohhh Lulu Sews. It’s a retro style suit with halter ties and bikini back clasp. 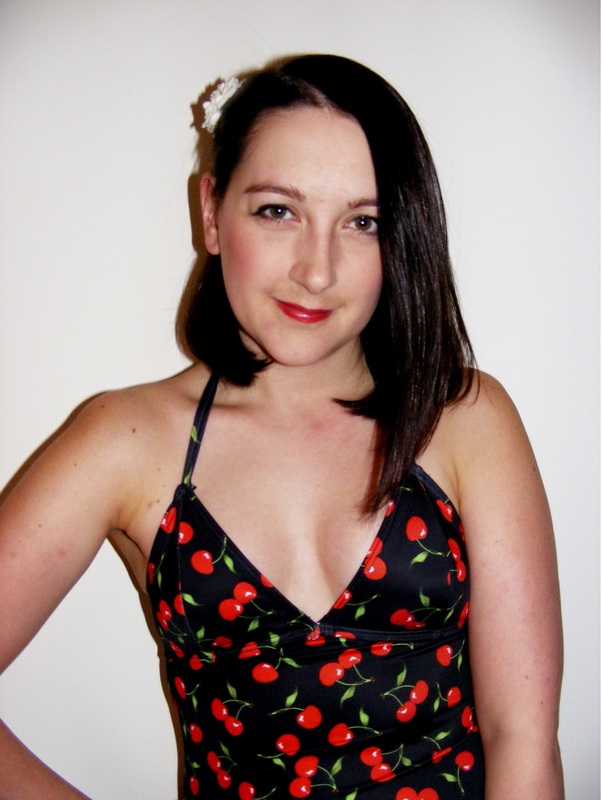 The cherry print fabric seemed like the perfect match to the suit the vintage inspired swimsuit I had in mind. I ordered sample prints with cherries, kisses and the galaxy and have I to say the quality is really excellent. You’ll be pleased to know that the stretch recovery is very good in both directions. Out of curiosity, I washed the samples three times and they didn’t appear to lose any dye and the sheen of the fabric stayed nice and glossy. 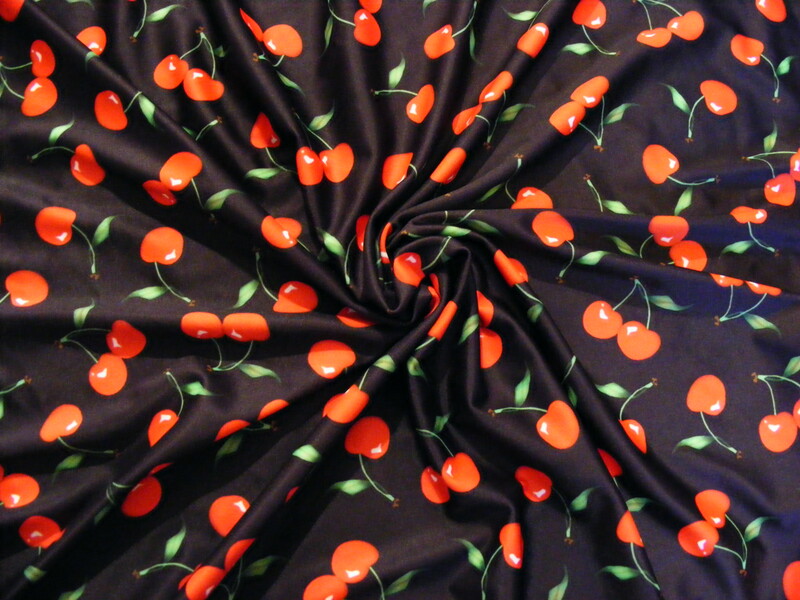 The depth of colour in the galaxy print was wonderful and the cherries I eventually plumped for look photo realistic! All prints appear to be applied to a white base. This does mean that if you pick a print with a dark background and your fabric gets overstretched, it does appear a little faded, due to the white ever so slightly peeking through. Nothing you can’t solve with a bit of gentle handling! Elastic is used around the cups, legs and back to achieve a snug fit. I ordered a Prym bikini clasp from Minerva Crafts. I used my overlocker for the seams, a simple zig zag stitch to baste and a twin needle for all my top-stitching. That’s the beauty of stretch fabric, you can make the construction as simple or as complicated as you like. I wonder if Mr AR will whisk me away on an impromptu holiday so I can wear my new swimsuit on the beach. Optimistic I’m sure. At least I’ll feel fantastic next time I go to the pool at the gym!